We are based in a country with one of the world’s leading textile industry. This section of our collection is fully devoted to doing justice to the rich diversity and culture of India. 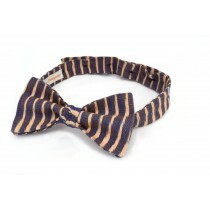 We pick handcrafted textiles from various parts of the country to make these one of a kind bowties. Our favourite textiles include Ikat, Kalamkari and Leheriya from the states of Andhra Pradesh and Rajasthan.